The macula is a small, highly sensitive part of the retina of the eye of many vertebrates, which is responsible for detailed vision. In certain vertebrates, including primates, a region called the fovea – the site of greatest visual acuity – lies at the center of the macula. One of the commonest causes of vision loss in those 50 or older in developed countries is age-related macular degeneration (ARMD), or age-related maculopathy. 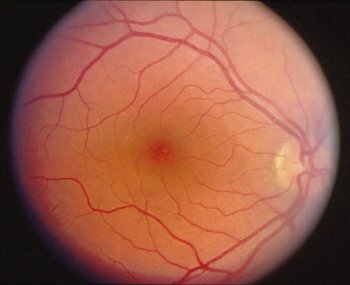 This condition is caused by hardening of the arteries that nourish the retina. ARMD deprives the sensitive retinal tissue of oxygen and nutrients that it needs to function and, as a result, central vision deteriorates. Currently, there is no treatment that can cure the disease or reverse its course, although a drug called Lucentis (approved by FDA) has been shown to improve vision affected by ARMD in controlled clinical trials.